Special Containment Procedures: Complete destruction of SCP-1104 is endorsed, should adequate means be developed. 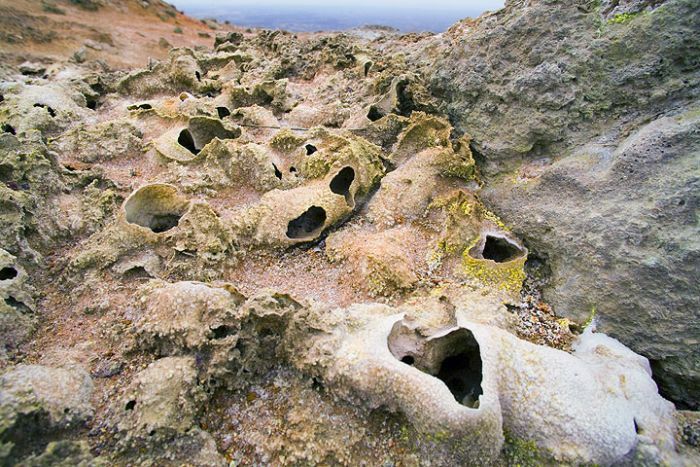 While individual instances of SCP-1104 are easily terminated, SCP-1104 is endemic to subsurface geological formations in northwestern ████████, rendering the (surmised) primary population of SCP-1104 inaccessible to convenient lethal agents. A surrounding area 10km in diameter has been designated Site-104 and cordoned from the public under guise of endangered species preservation. Personnel must wear N100 air filtration masks while within Site-104. Mammalian organisms exceeding 10kg (other than authorized Foundation personnel) entering Site-104 should be assumed contaminated and incinerated at facilities on-site. 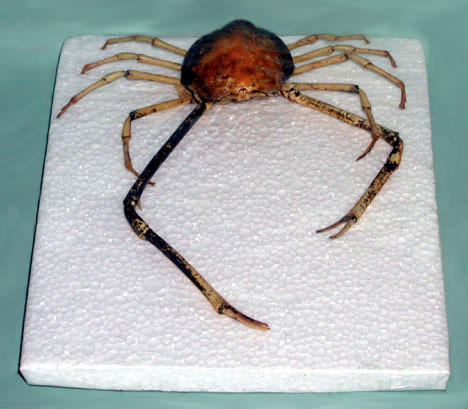 Description: SCP-1104 is a species tentatively identified as a member of order Chelicerata. The life cycle of SCP-1104 comprises at least two distinct phases, the first being a larval stage approximately 0.4mm in diameter. At irregular intervals, larval SCP-1104 are expelled from lava tubes within Site-104 at concentrations up to 200 individuals per cubic meter. These remain airborne for as long as 14 hours and have been documented to travel at least ██ km under favorable weather conditions. When inhaled, larvae will adhere to nasal mucosa, where they excrete an array of H1 receptor antagonists that suppress both local inflammation and implantation of further larvae. Over a period of 6-8 months SCP-1104 will grow and extend appendages through the host's ethmoidal canals. Hosts generally remain unaware of the presence of SCP-1104, apart from persistent but non-specific headaches. On maturation, SCP-1104 will begin applying pressure to the host's optic nerves causing obstruction of the central visual field. This pressure is applied selectively when the host is not oriented toward the local gradient of atmospheric hydrogen sulfide, which SCP-1104 can detect through the host's inhalations. After an initial period of distress, the host will begin to prefer to face and travel in the directions where they do not experience visual disturbances, thus tracing the source of hydrogen sulfide. Upon reaching a zone of sufficient hydrogen sulfide concentration, SCP-1104 projects appendages into the host's prefrontal cortex, causing unconsciousness during which SCP-1104 exits the host via the ocular cavity. After leaving a host, SCP-1104 attempts to locate and enter the source of hydrogen sulfide, such as a lava tube or sewer pipe. SCP-1104's subterranean lifecycle has not been documented. Although humans display the same instinctual aversion as any animal to visual disturbances caused by SCP-1104, the behavioral response is not a compulsion, and hosts may defy the influence especially if informed of the nature of SCP-1104 (Note that subsequent hostility toward research personnel should be anticipated). Attempts at surgically removing or poisoning a fully developed SCP-1104 result in immediate elicitation of its exit response. Post-exit hosts exhibit complete aspontaneity due to orbitofrontal lesions, and to date have provided no pertinent information in debriefing.